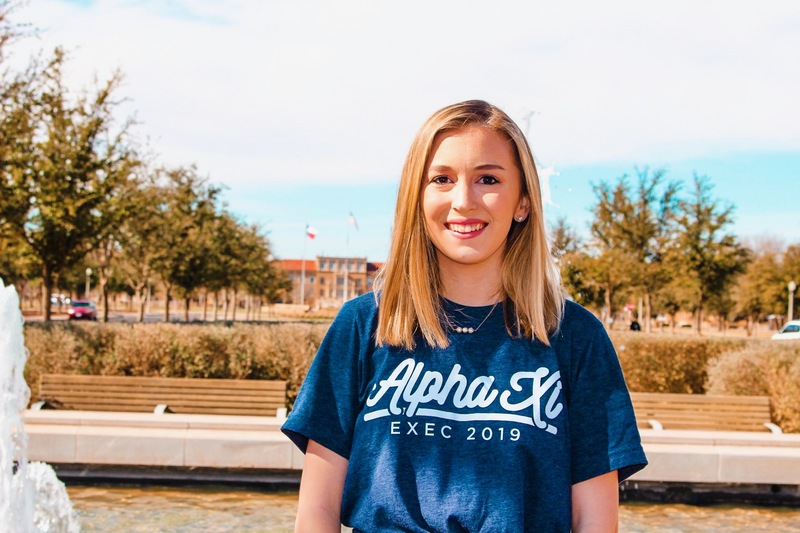 Karly is a junior Political Science major from Austin, Texas. After graduation, she plans to further her education and attend law school. A fun fact about Karly is that she spent a summer in Spain immersing herself in the culture and learning to speak Spanish! Kennedee a sophomore Journalism major and Public Relations minor from Graham, Texas. After graduation Kennedee plans on pursuing a career in broadcast news with a focus on politics. 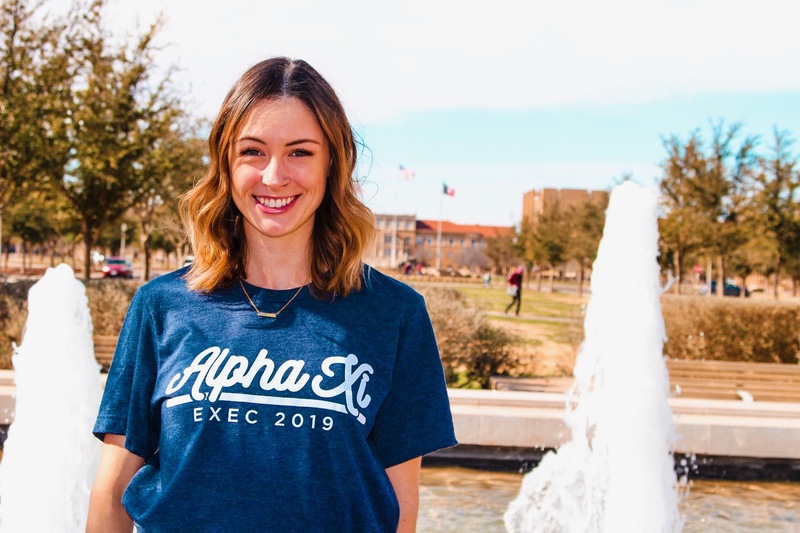 Kinsey is a sophomore Advertising major and marketing minor from Plano, Texas. Kinsey is an avid athlete that has played 8 different sports over the last 15 years, and had the opportunity to be surrounded by many professional sports teams living in Plano. She hopes to combine her love for sports and Advertising into an Advertising career for a sports team or a major sporting brand. 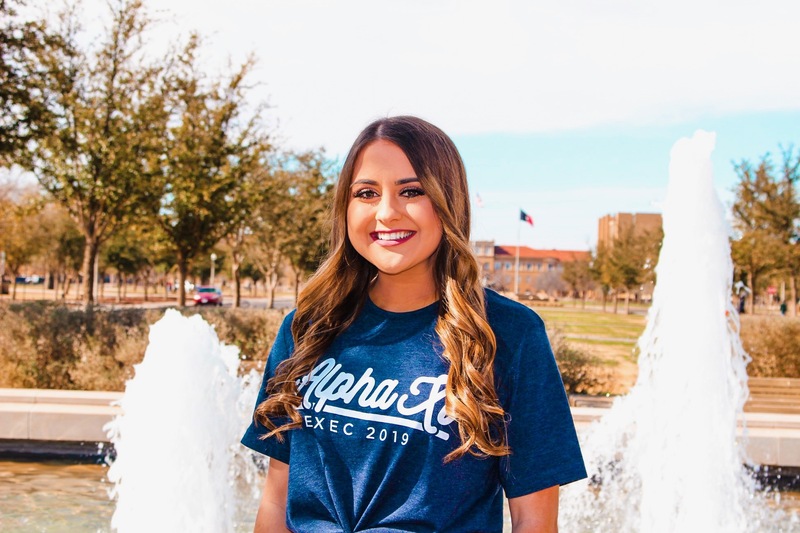 Natalie is a Nursing major from Kingsville, Texas. 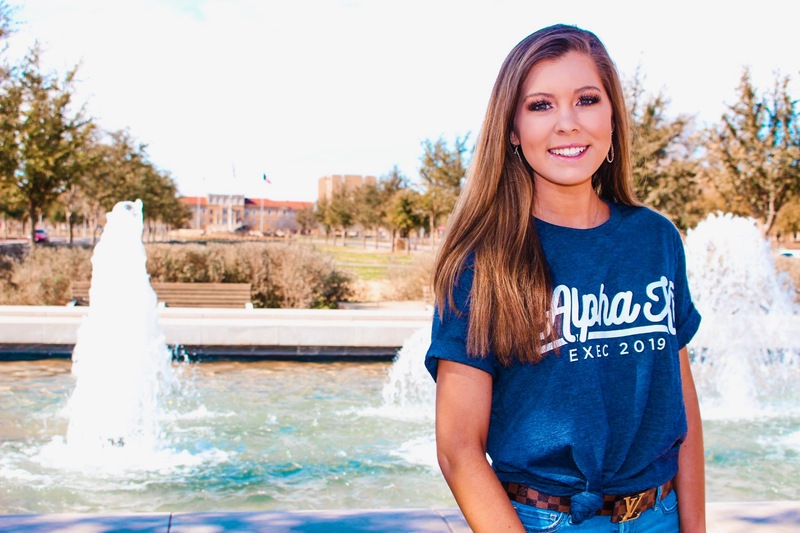 She was recently accepted into the nursing program at the Texas Tech Health Sciences Center Lubbock campus. After graduation Natalie plans on specializing in pediatric nursing and getting her Masters of Science in Nursing to become a Pediatric Nurse Practitioner. She can always be found listening to country music, two stepping, and fishing. 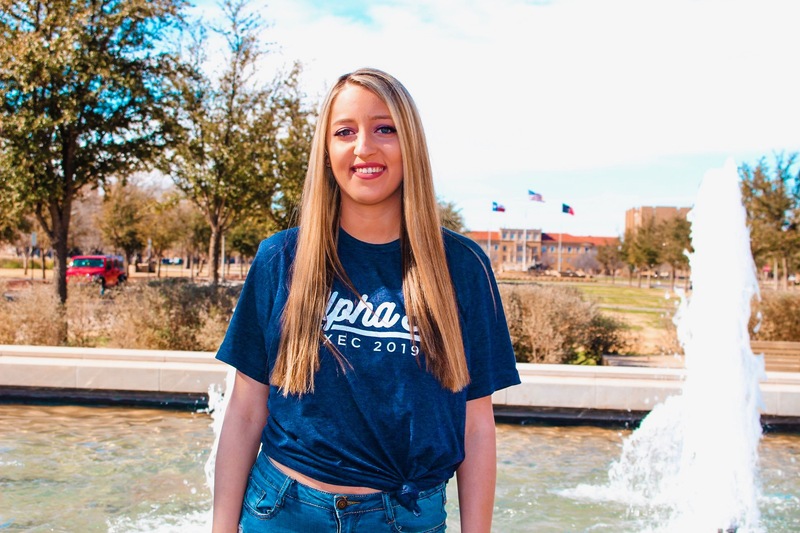 Emma is a junior Biology major and Spanish and Chemistry minor from Georgetown, Texas. She is hoping to attend Medical School after she graduates in 2020 as she has always been passionate about the field of medicine and helping others. In her free time, she enjoys painting and working out. A fun fact about Emma is that she has had 8 knee surgeries on her right knee and her surgeon allows her to shadow in the office and the operating room quite regularly. 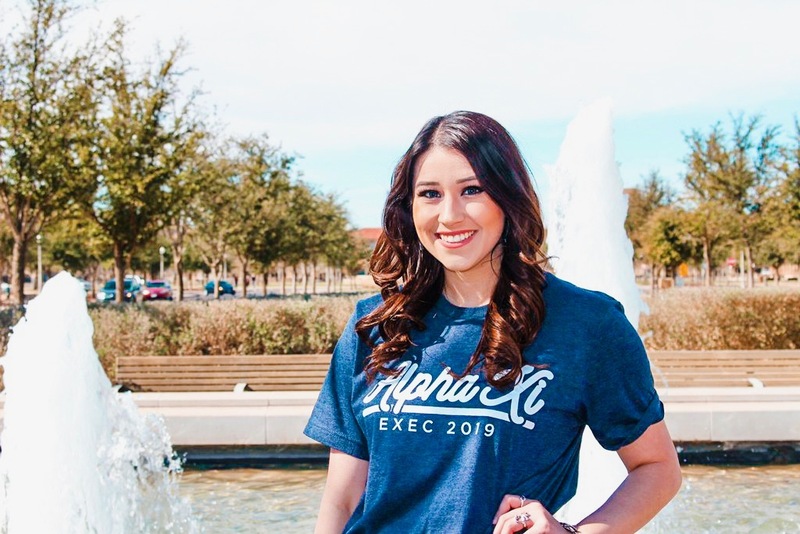 Kinen is a senior Accounting major from Odessa, Texas. In the future, she hopes to work for an accounting firm. She can usually either be found with her puppy, Millie, or at the Learning Center, where she works as a peer tutor. A fun fact about Kinen is that she has never broken a bone! 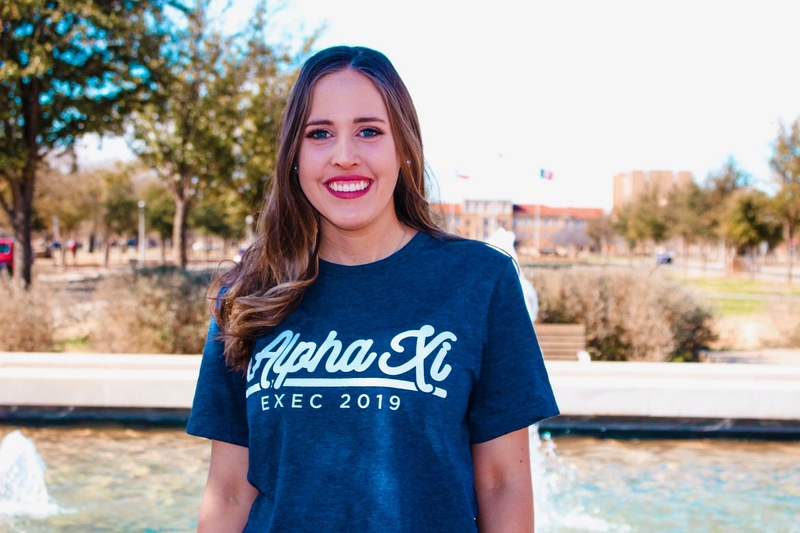 Morgonn is a sophomore Marketing major from Austin, Texas. Morgonn used to live in California and was a model and actress before moving back to Texas and has always loved traveling and adventures. In the future Morgonn plans to continue working in marketing and hopes to get back into modeling and acting in LA! A fun fact about Morgonn is that she has traveled to 10 different countries! 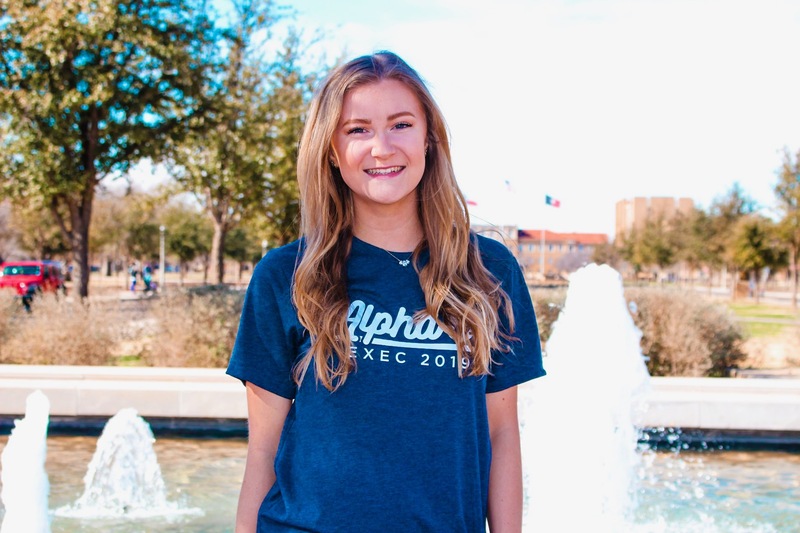 Anne is a sophomore Marketing major from Carrollton, Texas. She plans to graduate in May 2021 and hopes to find a job as a marketing manager where she can continue being creative and a great leader. She enjoys spending time outdoors, being active and playing with her puppy.